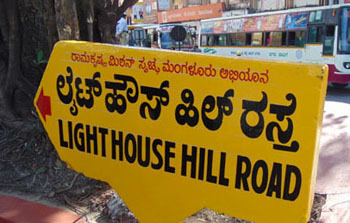 Mangaluru, Oct 18, 2017 : The Karnataka High Court has vacated the stay granted by it against the implementation of the state goverment order to rename the road between Ambedkar Circle and Catholic CLub via Light House Hill as Mulki Sunder Ram Shetty Road in memory of the late chairman of Vijaya Bank. It has also ordered status quo on the issue till the court disposes off the writ petition. The State High High Court had earlier accepted the writ filed by Mulki Karunaker Shetty, former president of Vijaya Bank Workers’ Organisation challenging the stay against the government order. The petition had named the Principal Secretary of the Urban Develoment Department, MCC Commissioner, Deputy Commissioner and Project Officer as the Defendants. It may be recalled here that the St Aloysius institutions had staged a huge protest against the renaming of the road. What is the issue with the name ?